A Country Boy Can Survive: The Manhattan Chapter «Inventio! Inventio! As one steeped in the manners of my native rural Deep South, I should have known better when I visited Manhattan last week. But, wooed by the seductive allures of “When in Rome, do as the Romans,” I had to learn my lesson. Thank God it ended OK, but not until I came to my “Country boy can survive” senses. Here’s what happened. 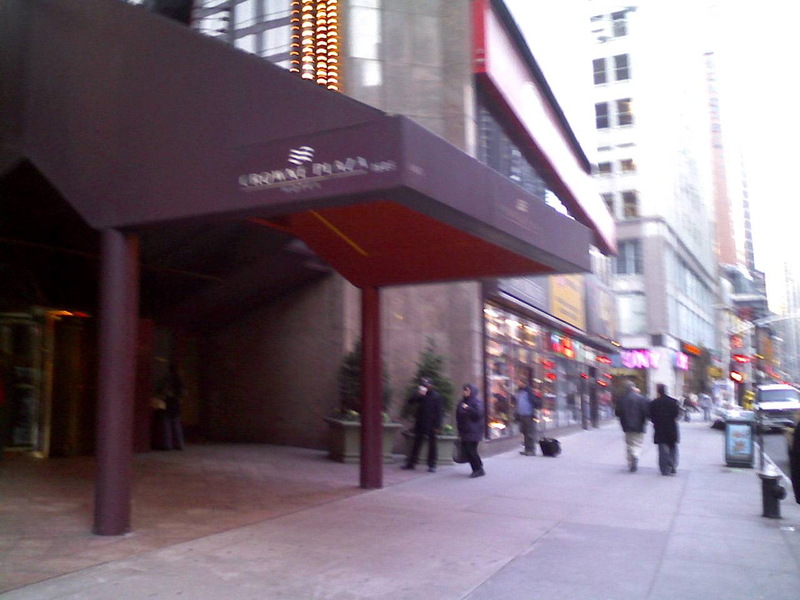 When we arrived in the city, we had to check our bags with the bell captain at the Crown Plaza Hotel on Broadway because we arrived a little early for check-in. We took a stroll around the neighborhood to get a feel for the surroundings (that’s another country boy tendency, by the way: to analyze surroundings, especially in unfamiliar environments.) When check-in time came, we reported back to the bell captain, clutching our claim tickets to gather our bags to head to the room. But the bell captain gruffly rebuffed us, asking what room we were in. “Go on to your room. We weel bring dem up,” he ordered. OK, New York, I’m playing your game your way. It worked out OK, but I still didn’t feel right about letting someone else do what I could so easily have done for myself. I went downstairs to the Business Center and things started off well enough. The attendant there looked on the FedEx receipt log and found my package had arrived the preceding Friday. He made a phone call and told me I could go on up to my room, for the package with my projector would be delivered shortly. “No, buddy, that’s not me,” I replied, as I explained how me and this Pighetti were both named after a famous Hebrew king, but we spell my last names differently. He left, declaring he’d be back with the right package shortly. I sighed and went back into the room. A few moments later, the phone rang. I really don’t know if the fellow understood half of what I said. He was English handicapped, fairly obviously. Now mind you, I don’t object to accents and second languages. I can manage fairly well in French and even hold my own in Spanish, and I admire anyone who can speak a second language. But at this point in this situation, the linguistics were not working in my favor. Sounding kind of lost, the fellow told me he was transferring me to Banquet Services. I was quite at a loss as to why, but I allowed the phone to ring and ring and ring at Banquet Services. When the Banquet Services voice mail recording picked up, the Country Boy in me came to life. I deposited the phone receiver on its cradle and looked at my colleague, who was marveling all the while at this unfolding saga. So off I charged to the elevator. I descended to the Business Center where this escapade began, related the string of mishaps to the attendant there, and before long was received by the manager of Banquet Services who led me to a room on the 15th floor where I found my package. Did I suggest he call someone to bring it to my room? Did I ask for any help at all? Of course not. A country boy can survive! I gathered that box up in my arms and took it upstairs to the room. 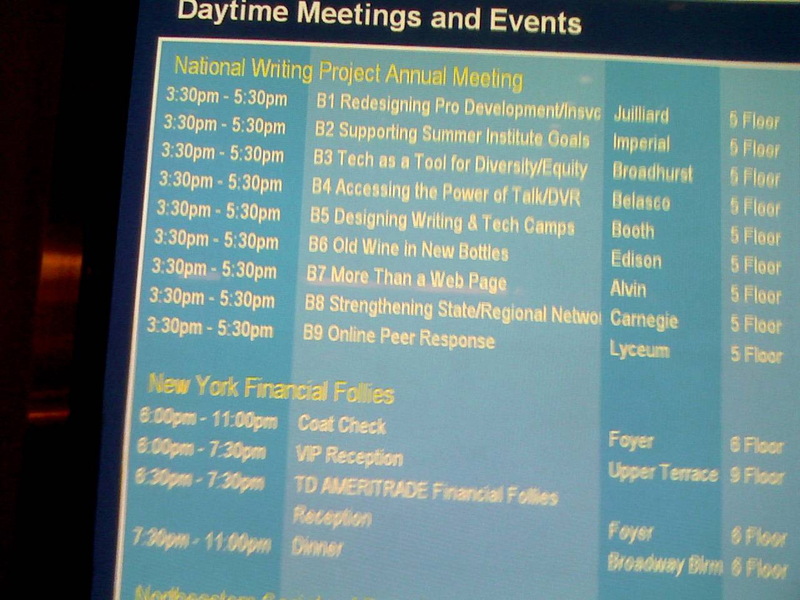 The projector worked admirably for our presentation the next day, and all ended well. I did have the option of returning the projector to Louisiana by FedEx so again I wouldn’t have to lug it around the airport. But when I heard someone tell how the FedEx shipping line at the hotel was thirty minutes long, I kicked myself and remembered: “I can do this job myself!” So I packed the projector with my bags and brought it back to Louisiana under my own power. Maybe you can find a conference outside the USA to attend and REALLY learn how a country boy can survive now that you’ve passed the NYC test! A little over five years ago, I was in Manhattan. Only time in my life I was there. Here’s one of the recollections.